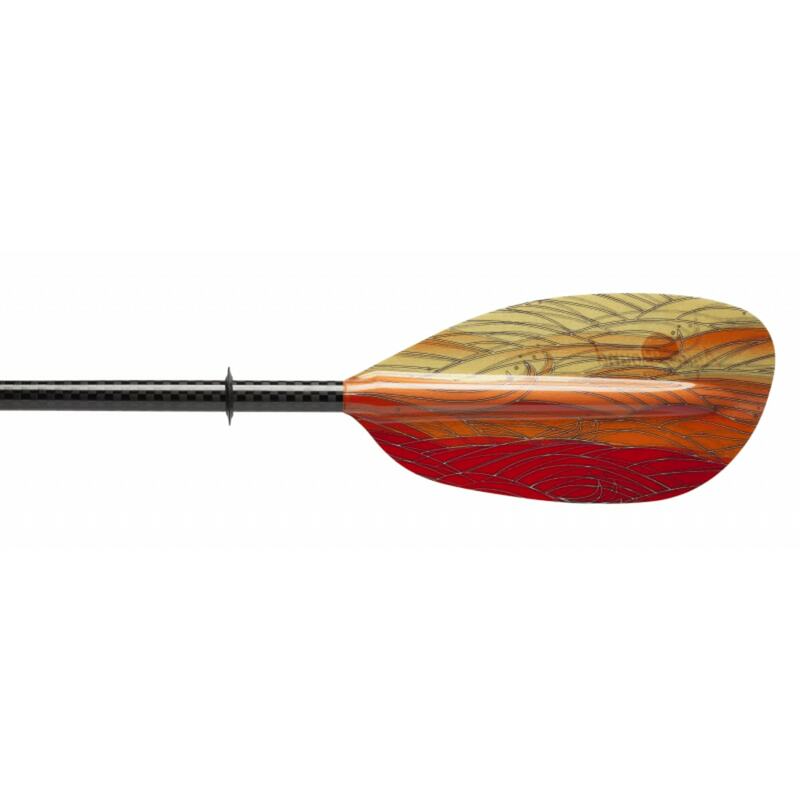 The Whiskey Fiberglass paddle has the same beefy blades as the Whiskey Carbon paddle, making it perfect for high-angle, high-energy paddlers. 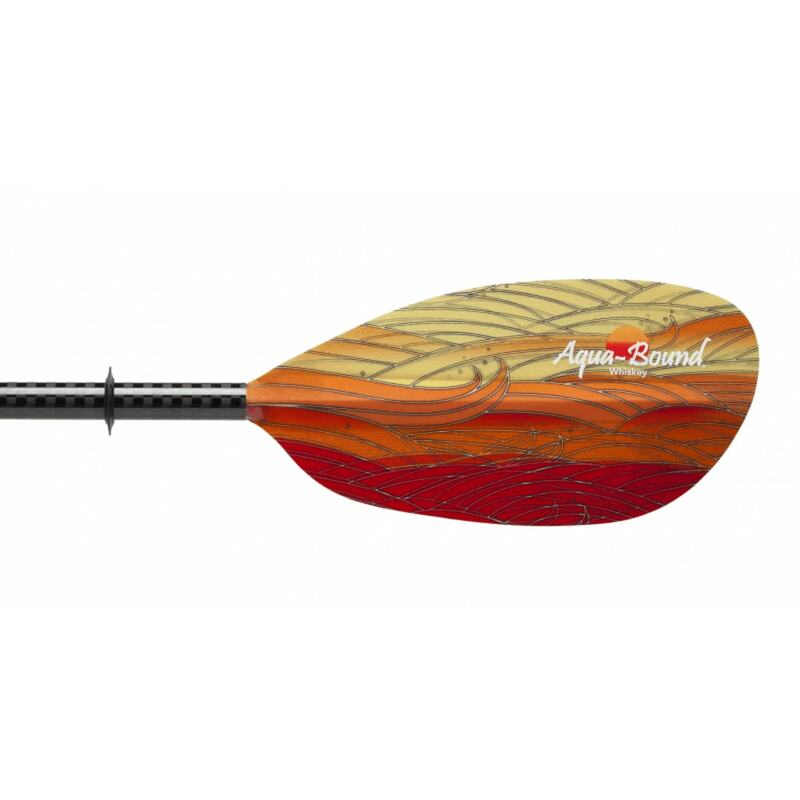 Hand-crafted and compression molded with multi-laminate fiberglass resin and a lightweight foam core, the Whiskey Fiberglass paddle comes in three eye-popping colors: Fuego, Agua, and Sunwave. 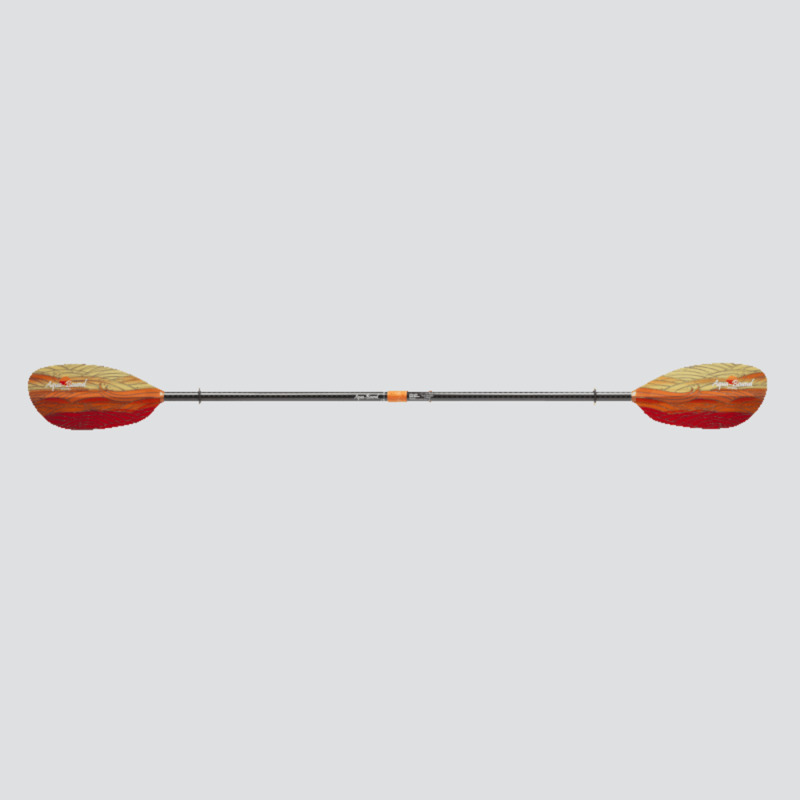 The Whiskey Fiberglass paddle has the same super-light and durable 100% carbon T-700 shaft. The Whiskey Fiberglass is available with a 100% Carbon Posi-Lok® ferrule system, which clicks into position firmly and securely. The Posi-Lok® features strong, corrosion-free construction, convenient dual-button release, and infinite feathering angles. The Whiskey Fiberglass is available in lengths from 200cm to 240cm, in increments of 5cm. Size: 7.8 x 16 in. Surface area (sq. in. ): 95 sq. in. Licensed Ferrule US Patent No. 6,881,111. Blade Size: 7.8 x 16 in.